Sudbury Handyman Services repairs, maintains and installs exterior and interior doors of every shape and size. Our professional handyman services increase your home's efficiency by replacing or repairing cracked or broken interior and exterior doors, including storm, sliding glass, French doors and many others. We can also add value and curb appeal by either painting or installing the exterior door of your choosing. When you notice your interior or exterior doors need a new coat of paint or replacement, call on Sudbury Handyman Services door installation services. We install doors of all shapes and sizes for a more efficient and valuable home. When it comes to pet door installation, Sudbury Handyman Services is a preferred installer of Plexidor Performance Pet Doors. These interior and exterior door installations are easy additions that help pets gain easy access to the garage, basement and/or outdoors. This reduces door repairs by minimizing scratches and other damage pets often make. Whether installing a pet door, or adding French doors to your master bedroom suite, Sudbury Handyman Services door installation services provide quality work in just one phone call. Faulty exterior doors cause a lot of problems, including allowing robbers and the elements easy access to your home. Both of which can be more costly in the long run than installing a new exterior door. 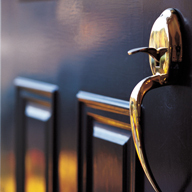 Sudbury Handyman Services helps you determine whether door installation or repair is necessary. Often our professional handyman services troubleshoot problems that can prevent having to install a new door. Sometimes making minor repairs are enough, other times exterior door installation is your best option for saving your family money. 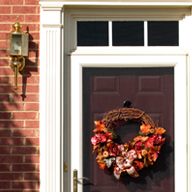 Exterior door installation is critical for maintaining your home's efficiency and value. New exterior doors can help prevent air infiltration, which is often a big culprit in increased heating and cooling costs. For added protection, storm door installation provides an additional layer between your home and the elements. Installing an exterior door can also add additional curb appeal. These main entryways welcome family, friends and prospective buyers into your home. When these exterior doors are scratched, dented and unsightly it reflects poorly on the home owner and reduces the home's value. Let Sudbury Handyman Services help with professional home repair contractors that specialize in exterior door installation, repair and maintenance. Call Sudbury Handyman Services that can check off all your outdoor installation and home repair needs.